Spain is obtaining the questionable reputation for protecting terms that are completely descriptive in other major languages as trademarks. MATRATZEN is one (in)famous example, DONUT is another. However, the term AFTERSUN, commonly applied to skin care to be used after sun bathing, has now been rescued from the trademark monopoly. Laboratorios Genesse (now: AC Marca Personal Care, S.L. ), had tried to prevent everyone else in the skincare business from using or registering AFTERSUN (or variants thereof like after sun or after-sun) on aftersun lotions in Spain or on EU level, based on their 1961 Spanish trademark registration no. 390096. However, this attempt has now finally failed: L’Oréal S.A., assisted by Salvador Ferrandis, obtained an appeal judgment (on 6 June 2018 – Audiencia Provincial de Barcelona, Appeal no. 948/2017 -1) confirming the first instance finding that this Spanish trademark has become generic. L’Oréal, who was not the only cosmetics producer whose use and registration of AFTER SUN found itself under attack from Laboratorios Genesse, decided to take the matter to court – to this date the only way to cancel a Spanish national trademark. L’Oréal proved that AFTERSUN (or variants) had been in use in Spain by other producers of after sun care for at least 20 years, and that Laboratorios Genesse had remained inactive all that time (up until its 2016 cease and desist letter to L’Oréal). 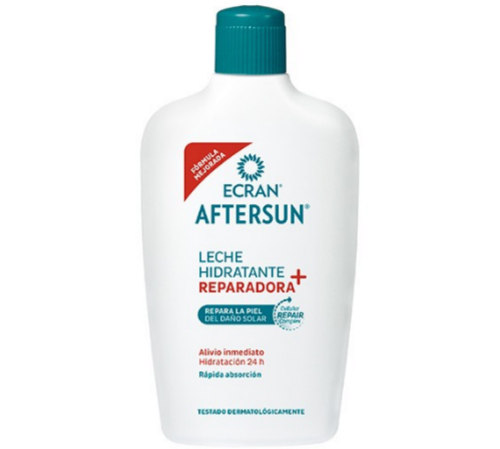 What is more, it had used ‘AFTERSUN’ descriptively, while distinguishing its own product, shown in the image, by the trademark ECRAN. Genericide of a trademark under trademark law in the EU (which is a harmonized concept based on the EU Trademark Directive) involves that the trademark at issue has become ‘the common name’ of the product (which means something else than just having lost distinctiveness), and that this is due to the activity or the inactivity of the trademark owner. These requirements are frequently referred to as an ‘objective’ and a ‘subjective’ one, whereby ‘subjective’ here does not mean ‘subject to assessment’ but ‘subject to the individual of the trademark owner’. It is not easy to show that these requirements are fulfilled. As regards the mark becoming the common name, certainly isolated instances of generic use by consumers or competitors are not enough and use by counterfeiters is more likely to prove trademark character than the opposite. The understanding of the term as generic or ‘common’ must be more or less generalized, at least among one relevant part of the public (see CJEU C-409/12, Backaldrin Österreich The Kornspitz Company). In the ‘AFTERSUN’ case, the Court was satisfied that the evidence showed generic character, relying, inter alia, on a detective’s report who had asked for “after sun” products in numerous drug stores and was regularly offered a variety of soothing skin care products from different brands. As regards the activity or inactivity of the trademark owner, while some feeble attempts to object to generic use may not be sufficient, a trademark owner cannot be expected to pursue each and every such use by third parties, and less in times of the internet. That being said, using the mark in a seemingly descriptive manner can certainly be held against the owner, and tolerating wide-spread use by multiple competitors over an extended period of time would account for ‘inactivity’. Both was held to be present in the AFTERSUN case. As a result, companies in the skin care sector are free to use and register marks with AFTERSUN and variants thereof, also in Spain!